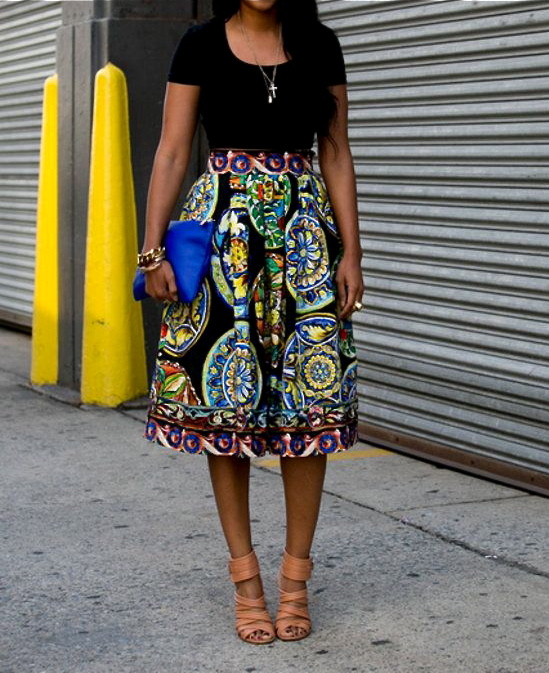 Just for a moment let me just faint from this breathtaking print skirt. Who needs a punch line when you can be the ka-pow as you enter the room with a dream of pure perfection skirt like this. Simply gorgeous. It doesn't need anything else to carry on it's arm. A stand alone piece. A head turner. An attention grabber. I lust for her. Prints are slowly creeping up on me again and I like it! Let's see what else is in store!